Approximately seven kilometres from the heart of Brisbane’s CBD, Kedron is in a unique position both geographically and historically. Bordered by three major arterial roads and with easy access to public transport, the three Catholic Franciscan Schools; Padua College, Mt Alvernia College and St Anthony’s School, offer Catholic education from Prep to Year 12. Turner Road, Kedron is often advertised to new home buyers as being in the heart of the Padua Precinct, referring to the location of the three well-credentialed Catholic schools in close proximity to one another. The suburb has seen a resurgence in population growth in the last 10 years. A shift in demographics has meant the suburb is seeing the return of young families and increased residential development. In the 1920’s, the Franciscan Friars were asked to take over the fledgling outer suburban parish of Kedron. Later the Franciscan Sisters of the Immaculate Conception, a teaching institute of nuns, were invited to educate the poor young Catholics of the area. In 1956 the sisters asked the Friars to join them in educating the boys. Each of the three schools has a significant connection through their Franciscan foundations. St Anthony’s School is a Parish Primary School from Prep to Year 7 operated by the Brisbane Catholic Education Office for the Archdiocese of Brisbane. St Anthony’s is a co-educational facility from Prep to Year 4, with girls only making up Years five to seven. 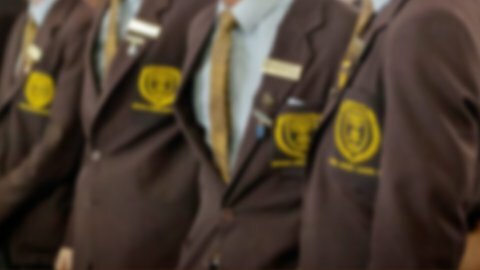 Mt Alvernia College is an independent school for girls from Years 8 to 12 under the care of the Mercy Partners. Padua College is an independent school for boys from Years 5 to 12 under the care of the Franciscan Friars. Between 2003 and 2004, the administrations of the three schools decided that all would benefit from a more coordinated approach to common issues. Thus was born Franciscans on the Hill or FOTH as it has become known – a term coined by John Leyden from St Anthony’s School. Regular meetings between the Principals and administrators, shared staff professional development opportunities and many cross-campus activities form the basis of a close working relationship between the three schools. There are some common subject offerings for senior schooling between Padua College and Mt Alvernia College. In 2011, the FOTH school association was further enhanced with the inclusion of the Kedron Catholic Parish of St Anthony of Padua and St Therese of Lisieux (or Little Flower Parish as it is more commonly known). This inclusion recognised the close connection of the schools to the local parish community. In 2012, the Queensland Catholic Education Commission chose to highlight this unique relationship under its theme of Celebrating Community – Family, Parish, School. In 2005, Padua College became a Foundation Member of the newly formed Franciscan Schools of Australia (FSA). Under the guidance of the Franciscan Sisters of the Immaculate Conception and together with representatives from Padua College, Mt Alvernia College and St Anthony’s School, a coordinating committee was formed to create this new grouping of schools. In seeking out others to join this association, the criterion for joining was that each prospective member must have been founded by a Franciscan Religious Institute Order or have chosen a Franciscan charism through which to guide and direct its mission statement and spiritual formation. The group now has more than 40 members. These members are usually school communities based in Queensland, New South Wales, Victoria, Tasmania and South Australia. Membership to FSA is not limited to Catholic institutions only. Because of the ecumenical nature of Franciscanism and its appeal to other denominations, a number of members come from a non-Catholic background as well. These members share a common link to Franciscan traditions in other Christian backgrounds and were usually founded by Franciscan groups affiliated to the overarching body of the Franciscan Federation of Australia. Another way members of FSA get together is through participation in a conference, which is held every two years. The purpose of each conference is to allow for some further Franciscan spiritual formation for delegates with Franciscan keynote speakers as well as some dedicated time for educational and professional networking.